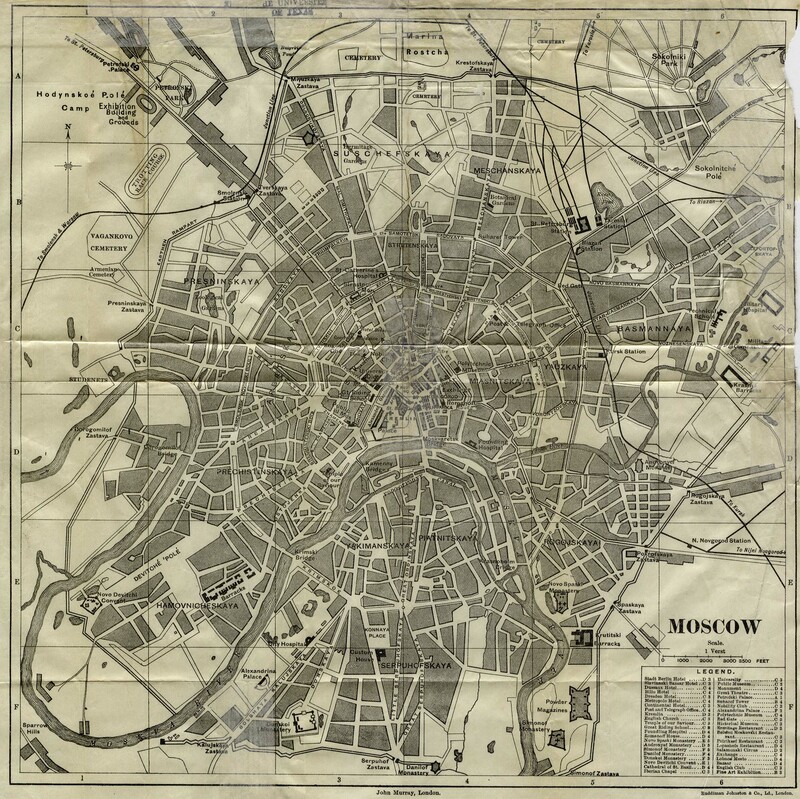 "Old Maps of Moscow" provides multiple views of the city and its surroundings on this website. Once located, a chosen place can be viewed on historic maps dating from 1739 to the present, and the maps can be downloaded or printed. The website is in Russian and English. Courtesy of the University of Texas Libraries, The University of Texas at Austin. Perry Castaneda Map Collection. Courtesy of David Rumsey Historic Map Collection. Zoomable, colorful, exact. Moskvy Map by the Society for the Diffusion of Useful Knowledge, 1836. David Rumsey Historic Map Collection. Zoomable, very clear. Legend is in English. 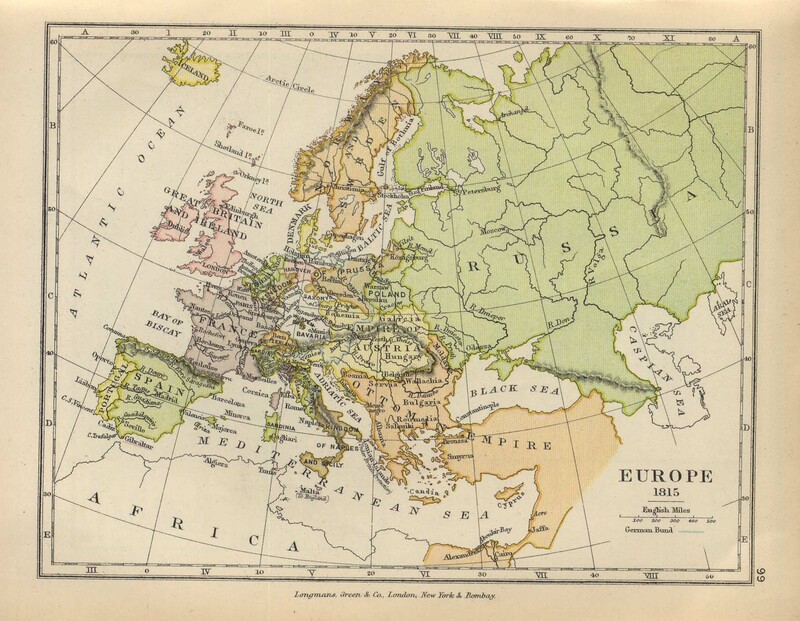 Map from Brockhaus Encyclopedia. Hic Leones Archive of Historical Maps. Very clearly labeled, with separate alphabetical index. Legend is in German. Moscow Map by John Murray, 1893 (Public Domain). Courtesy of the University of Texas Libraries, The University of Texas at Austin. Perry Castaneda Map Collection. Map of Moscow based on 1940 USSR map. Published by the CIA. Courtesy of the U.S. Library of Congress. Zoomable, can be viewed in detail. Legend is in English. Map of Central Moscow published by the U.S. Central Intelligence Agency 1980. Zoomable, can be viewed in detail. Shows house numbering system, includes a street index on a separate page. Courtesy of the Library of Congress. 1796 View of Kitai Gorod Wall and Zaryadye from the embankment. Watercolor. 1798 Moscow State University, Mokhovaya St.
Watercolor courtesy of Wikimedia Commons. Locations are explained in Russian. Photo courtesy of Wikimedia Commons. 1850 Varvarka St and Zaradaye with Chambers of Romanoff Boyars. Watercolor. Courtesy of Wikimedia Commons. 1880 View of Zaryadye from Bell tower in Kremlin. Postcard courtesy of Wikimedia Commons. 1884 Kitai Gorod Wall and Zaraydye Quarter, viewed from the river. Photo by N.A. Naidenov. Courtesy of Wikimedia Commons. 1886 Row of Storefronts in Varvarka St. Facing the Kremlin. 1888 View of Varvarka St. in Zarayadye. Photo by N.A. Naidenov, annotated in Russian. Courtesy of Wikimedia Commons. 1909 Tenement in Pskovsky Lane, Zarayadye Quarter, Moscow. Gate in Kitai-Gorod wall, Zaraydye.